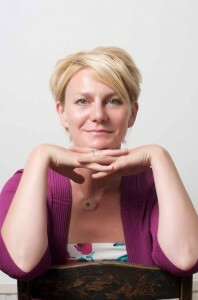 Suzy Greaves is the editor of the popular and informative Psychologies magazine. I’ve been reading the mag since its inception and have even kept most of my copies (is that obsessive behaviour?) You might also have spotted that I use it exclusively to advertise RenewYou. Last Spring they acquired a new editor, Suzy Greaves, and I’m really pleased to be able to introduce her to you. Jane: Suzy, many thanks for taking time out to talk with us. As I said in the intro, you are currently editor of Psychologies magazine; you had a very flourishing career before that with your books and coaching practice. How did you arrive at this new role as editor? Suzy: I was very lucky. I’d written for Psychologies for a while, they knew I was coach and they approached me when they moved to Kent to see if I’d be interested in being editor. It was a big leap for me as I’d worked for myself as a coach for 15 years but it was a no brainer as I loved the magazine so much. What’s your biggest challenge at Psychologies? And what brings you the most satisfaction? I had never edited a magazine before. The team was incredibly generous and showed me how to create a flat-plan and guided me through how to physically put a magazine together. I had a very clear vision of what I wanted to create, but it was a bit scary and a steep learning curve at first. Satisfaction wise – I have loved being creative on a daily basis. With my coaching hat on, my main role is to support and ask questions but every day at Psychologies, I’m being creative in every way possible – and I love it. Do you remember what your first job was and how much you were paid? My first job? I was editorial assistant on the Leeds Weekly News. I was paid £9000 a year. Were there any signs in your childhood which gave an early indication of the career path you were to follow? I love writing stories when I was a child. When I was 8, I asked for a type-writer and I cried with joy when I unwrapped it on Christmas morning. You may not always be able to control what happens to you in life but you can control how you think about it – and that is truly the secret between a happy life and a miserable one. The world of self help seems to have more enlightened men around than maybe some other professions but you have also worked in journalism. Have you ever encountered sexism (from either gender) in your career? If so, how have you managed it? I haven’t come across much sexism but when I have, a well-aimed put-down can usually wither a cocky bore at 5 paces. I am sure you must have had many comments from people inspired by your own book and advice but which book or author has most inspired you? I have been inspired all the way through my career by some brilliant people – and often there are different people for different eras. Marianne Williamson got me through some tough times, as did Buddhist nun Pema Chodron. I’m a huge fan of life coach Martha Beck – funny, clever and wise. I always partake of Julia Cameron’s The Artist’s Way once a year – it gets me back in touch which my creativity and fire. We have many aspiring authors reading the blog. How did you go about getting your first book published and what advice would you give? Never give up! I was commissioned to write my first book by a very posh publisher – with a glass lift that went up and down outside the building. I thought all my dreams had come true when I got my book deal with a lovely big advance. I told everyone I knew and his dog. I was writing it with another life coach and it took us 6 months to write but we really struggled writing something coherent. When we submitted the manuscript, it was rejected – and they told us to pay back the advance, which I’d spent. It was truly humiliating. I swore I would never write another word ever again. But 4 weeks later, another publisher contacted me after seeing an article I’d written – and I wrote the book that launched my business – Making The Big Leap. What do you think has been the most helpful thing you have done or invested in re your own career? Has there been one person who has really helped and inspired you? Also hiring my first coach Rachel Pryor was a pivotal moment for me. She helped me realise that my beliefs about myself and life weren’t true and simply a belief. That was utterly and literally mind blowing. What would be your fantasy job? The best job you can imagine and you can choose anything except the one you have now, and why? I would love to be a film director – to creatively put together a vision of a story in a way that moves and inspires others – what an incredible skill. How do you relax? Do you have any hobbies totally unconnected with work? To relax, I love watching box-sets on my iPad. I love becoming engrossed in a story-line – from Breaking Bad and The Killing to House of Cards and Orange is the New Black. I think I’m slightly addicted. I’m also a runner. I ran the London Marathon last year (never again!) but I love getting outside with the dog and just getting a bit of fresh air and time away from the digital distractions. If you could share one piece of advice, or a saying or personal mantra with our readers what would it be? Embrace imperfection, be kind to yourself – and others, and get a dog. I’m really lucky. Oscar, my smelly cocker spaniel comes to work every day with me. And he’s our team mascot. Suzy, thanks so much for taking the time to talk with us. Like everyone who is really good at what they do you make it sound easy but there’s clearly been a lot of hard work involved. Keep on with the good work at Psychologies magazine, I love it! You can find out more about Suzy on her website here. Wow – what an ‘awe’some interview between two amazing and inspirational women. Jane – I have been on your site this morning finding some absolute gems for my women’s forum workshop today – I am going to do the creative visualisation with them for sure. Your very recent blog on ‘Does your job leave you feeling shortchanged’ has affirmed my decision to leave my current part-time job albeit not immediately – I have sent it on to my closest colleagues/my best friends at work cos life is too short…not to be happy. I have also been a huge fan of Psychologies since the inception and kept most of my copies in the loft – in the end I had to give some for keeping to a friend with the promise she wouldn’t get rid of them just hold onto them for safe keeping so I could share the love and articles with friends and future clients. I am totally inspired by the journey and the wisdom that Suzy shares and actually without arrogance was struck by some of the parallels with my own journey as a coach and a Renew You Trainer plus the teachings and practices which have sustained me along the way. Although I have still got a long way to go on the journey to everything ‘I want to be, do and have’ but totally inspired by Suzy who to me is already living the dream. It was all spookily familiar and when she said get a dog and a cocker spaniel, I missed a little heartbeat cos guess who wants to bring this type of dog into my life this year…. I thought of you and your recent trip to the cat and dog rescue too! Thanks Jayne.